Illusione Fume D'Amour It's been a solid 3 years since Illusione released a new cigar line. The beloved boutique brand has spent its time building a core lineup of cigars that have become highly desired items in every enthusiast's collection. 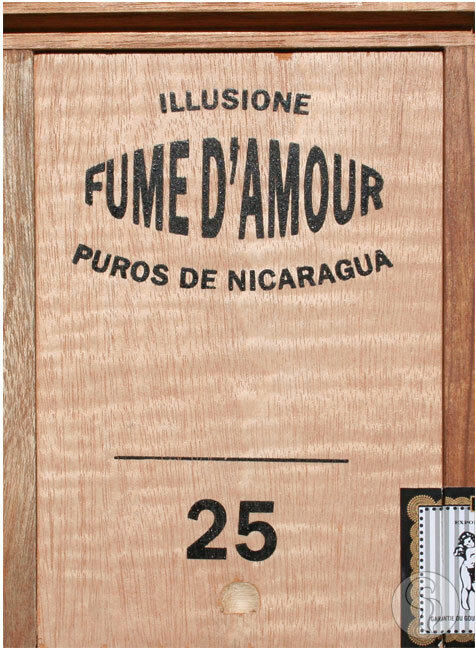 But the time is finally here, and Illusione has introduced the new Fume D'Amour, a Nicaraguan puro being produced at the Tabacos Valle de Jalapa S.A. factory in Nicaragua. Translating to "love smoke", Fume D'Amour intends to have that very effect on your palate. With a vibrant brown wrapper and excellent construction, this cigar simply begs to be smoked. On the palate, you'll find a smooth, medium-bodied profile, exhibiting flavors of nuts, herbs, cocoa, and Nicaraguan spice. With rich and full flavors, combined with a medium strength, this cigar is a real treat that can be enjoyed anytime throughout the day.